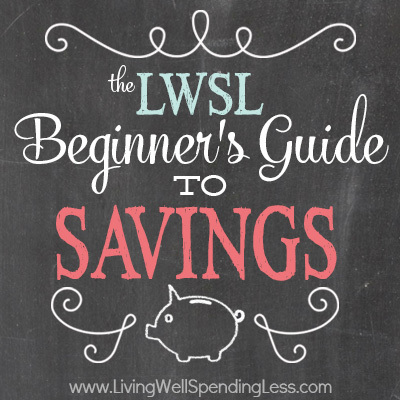 Welcome to The LWSL Beginner’s Guide to Savings! My goal for this series is to guide you through a series of assignments intended to put you on sounder financial footing. Basically it is eight weeks to a better budget. 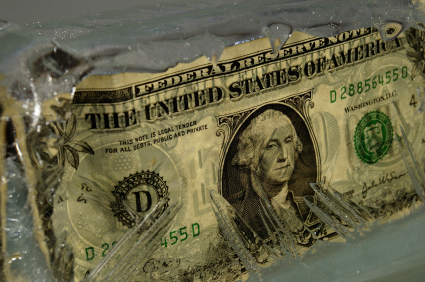 And now for a few disclaimers: I am not a certified financial expert or planner. I don’t have a degree in business or accounting. I have no credentials whatsoever beyond my own experience to qualify me for teaching anyone about saving money. There are plenty of money experts out there who could probably explain this stuff far better than me, and some I will even refer you to. My only goal here is to try to break down the scary world of budgets and saving into manageable bites that anyone can handle. This is the baby steps guide to saving. Saving is not easy. We live in a crazy consumer-driven-gotta-have-it society, where the latest gadget/gizmo/car/movie/fashion/toy is constantly being promoted, and we are made to feel like we’re missing out if we don’t have the latest or the best. The sheer quantity of stuff available to to purchase at any given time is pretty much a bottomless pit. There is always more, more more! So what’s a girl (or boy) to do? Well, it’s pretty simple really: Stop. Buying. Stuff. At least in theory it is simple. In practice, it is sooooo much harder. The truth is that whatever the reason, much of what we spend our money on is unnecessary, a want rather than a need. I need to eat, but I want to drink my Keurig K-Cups coffee every day. I need to wear shoes, but I want to have dozens of pairs in every color and style imaginable. It is so very important to realize the distinction between what we think we need and what we actually need. It is the first critical step on the path to savings. Don’t get me wrong, I’m not saying you should never spend money on anything, and live an austere (and boring) life void of pretty things entertainment or yummy coffee drinks. Don’t forget, the title of this blog is Living WELL Spending Less. But for the sake of this series, we are going to start by curbing all spending so that down the road we can figure out how to get those things we want in a way that fits our budget. Try to go at least seven days in a row without spending money on anything except what is absolutely necessary, as in matter-of-survival necessary. No clothes, no candy, no quick stops at McDonalds, no craft supplies, no nothing. Don’t worry, it’s only a week. You won’t die. I promise. And if you are really feeling motivated, try committing to an even longer period of no spending, such as our 31 Days of Living Well & Spending Zero challenge. It is a great way to get your budget back on track in a hurry! Spend your time reflecting on all the things you spend money on in a months time, and divide those things into a “needs” list (i.e. I need to pay rent, buy food, make my car payment, etc.) and a “wants” list (cable TV, designer jeans, Starbucks, etc.) Don’t just make a mental list. Sit down and physically write down every single thing you can think of that you spend money on, from the mundane to the major. Read a few articles to get yourself motivated. It will give you something to do while you’re trying not to spend money. 5 important lessons I’ve learned so far. A great reminder that more stuff doesn’t make us happier. 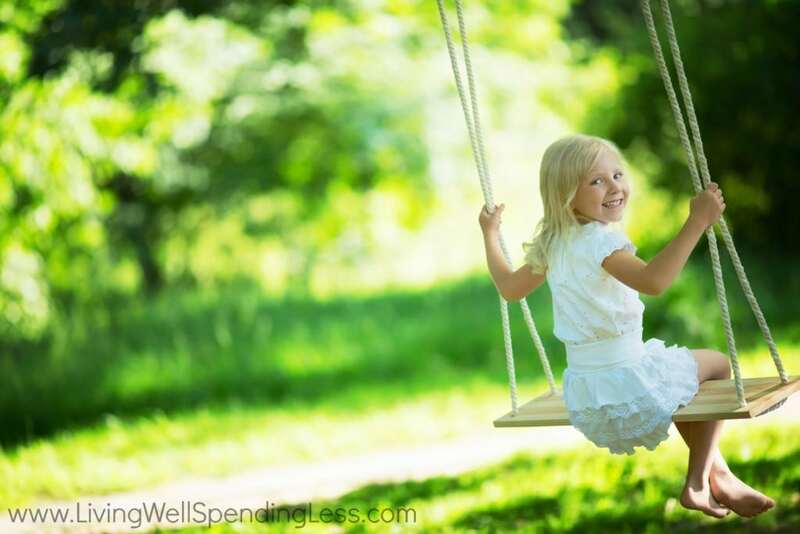 These are 7 smart things all parents should learn too! A super insightful post about the reality of driving a beater. Think long and hard about the reasons you spend money frivelously. If you are using shopping as a way to fill a void in your life then you need to seriously explore other hobbies that don’t cost anything. Go to the library and check out some new books, make it your mission to explore every park in a 20 mile radius, set a goal of organizing every closet and cupboard in your house by the end of the summer, or better yet, connect with a few local friends who may also be trying to curb their spending. There’s nothing more effective than a little accountability! I think the thing that surprised me the most when I stopped spending money out of boredom was how much more creative I became. The world is full of free activities. You just have to look a little harder. 50 cool things to learn that won’t cost a thing. 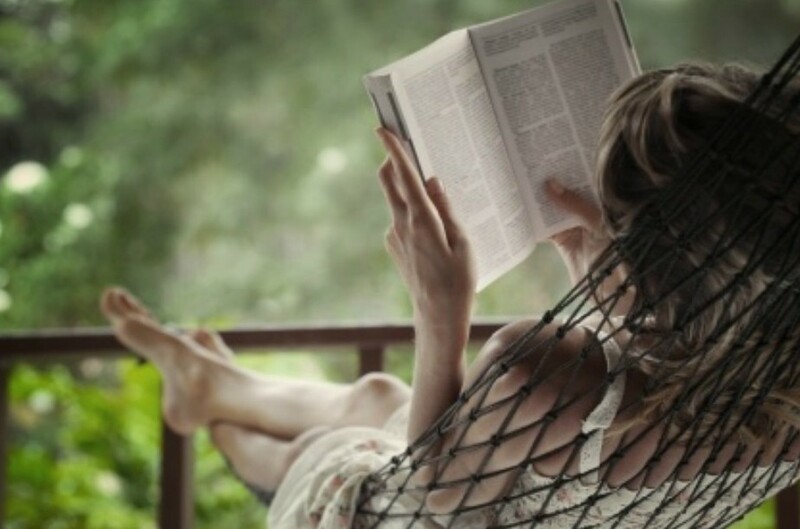 25 fun & thrifty ideas for quality time. 20 ways to spend time with the one you love. And that’s it for this week! Stay tuned for another riveting installment next Wednesday and remember, I want to hear from you! If you’ve decided to take this 8 week challenge, or if you have any ideas for fun free activities you’d like to share, please leave a comment below. Saving money is so much more fun when you have someone to share it with. I really enjoyed reading your segment. It was very enlightening, positive and informative. Does spending and respending extra bucks to get free stuff count as spending? If I don’t spend any “real” money? Ruth, I love this. As a new stay at home mom, I’m finding it more and more pressing to do this very thing; This is just in time…for me anyway. I think that is totally up to you! If it’s not coming out-of-pocket then technically no, but the exercise is more about separating out “wants” from “needs,” so it is a judgment call on your part! 🙂 Hope that helps. thank you ruth!! this could have not come at a better time. As I am a nineteen year old working college student, i finally started to realize that i just keep buying stuff and stuff and more stuff. And then wondering where did my money go. I looking forward to start cutting most of my spending except for the essentials and start living a life of peace. I feel like this guide is not only a financial guide but a guide to our inner spirituality, allowing us to look deep within ourselves and begin to see what are the voids that we really need to get to. i want to thank you again and look forward to next week post. p.s. the ways that i will fill up my time will start by reading the stacks of books that i bought but never have gotten that change to read, and the tons of cds and free songs that i download but never listen too, will now be heard. Plus i will make a few trips to my favorite free beach too!! I accept your challenge! making the savings pledge to stop spending on things I don’t need! Thanks for the tips and the inspiration. Love this post. We can so easily get trapped in the I want and must have this mentality. Our thinking becomes clouded. This is a great challenge. I am going to give it a try. Thank you for the conviction, Ruth. It took awhile to digest the paragraph regarding reasons we spend. Its truths were blatant. I am going to start small with the activities to replace shopping. A bike ride to the park, extra library books, or simply getting the kids involved with cooking. I am looking forward to the growth I will experience in this challenge. P.S. Wondering whether or not you will have shopping results this week. 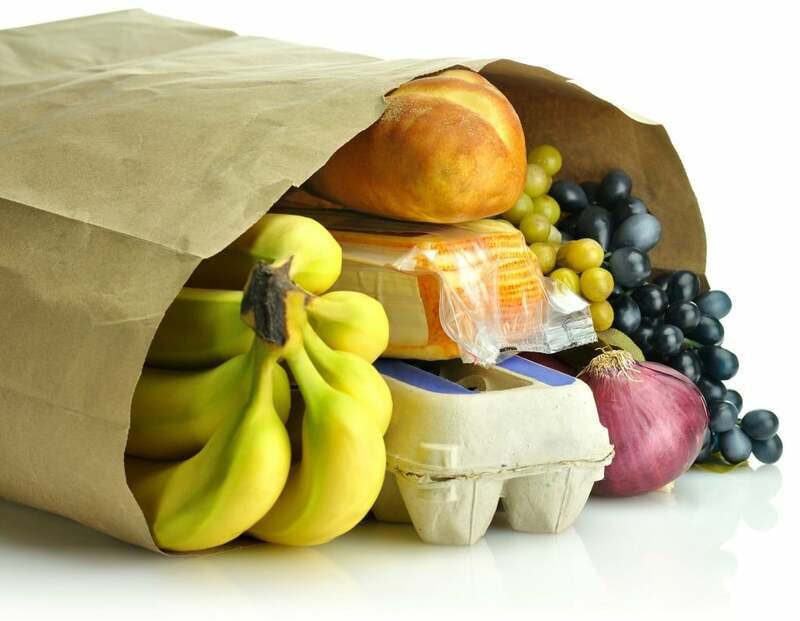 If it is possible to live off the stockpile, does deal-seeking-shopping become a “want”? Ruth, I think you are awesome and I love your blog and website more than any of the other sites I read. I already have to save money and cannot buy frivilously, due to not much comming in. This is still a great challenge for me. I can get carried away with my couponing and will have spent more than planned if I am not careful. I always look forward to reading what you have on your post from day to day. I love this! I work on a military installation and the primary function of my office is to help military members and families with their finances. Our local library has a large selection of DVD’s and we always recommend cutting cable as an unnecessary expense, and using the library to borrow movies to watch. We are also looking into doing a couponing class, so I have been perusing your website and just love your beginners guide for couponing! Thanks so much for all you are doing! I’m going to join in on this!!! My husband and I have just really started trying to SAVE money, he was laid off for almost 2 months, and it hit us hard (with no money in savings), so this is just what I need to get our Savings Account started! You knomw I’m here to take the challenge! It has been an interestin week as we spent 5+ days without power, so it was interesting to see how we could function/entertain the kids etc. We ate alot of burgers/hotdogs/mac n cheese on the grill.. and just sat around at night.. the kids played their board games or DS systems when they had a charge and were quite satisified! I had resisted the urge to go out and eat each night just to get into air conditioning! I’m willing to try and I know I need to stop spending so much! I just heard about your coupon program and I am excited to get going. I work full time and long hours so it may take a little longer than I’d like but I think it will be great. I have always clipped coupons to save a few cents here and there but what you do is awesome and I want to play. Thanks for sharing your insights and time. I loved the no spend challenge! I am guilty of nickel and diming my expenses away. This really brought to my attention how easy it is to spend money mindlessly. This next month I am going to get cash and only spend that on those purchases. When the cash is gone so is the spending. Thanks for all you do. I used to shop every day, even on my lunch hour, then online and of course on weekends with the girls. I had a closet full of things with tags still on them – how much did I really need?? The only thing that helped me change my shopping addiction was one book called 101 Ways to Stop Shopping and Start Saving, on amazon. I have stopped shopping for things I don\’t need and saved $457 for my new goal -a trip to Paris in 2013! I highly recommend that book for anyone who needs help. It was a lifesaver for me. If I can do it, anyone can! Thank you so much for sharing all these saving money tips, it’s indeed really useful. I’m now studying abroad bearing all the expenses isn’t an easy job. But with your spending tips, I’ve learnt very simple ways to save money and your posts inspired me to be more thrifty. However, I feel your advertisement section somehow overshined your blog posts. Apart from that, your blog content is awesome! Just found your site. Am really interested in following your Blog. I wonder: if I have a Starbucks-Card with credit on it and use it in this first week: does that count as spending? Because I did spend the money, when I bought the credit. On the other hand – at least that is my view – it is credit spent and so I would count it as spending. Do you agree or disagree? Thank you for the inspiration! I am beginning the challenge and really working toward a more stable financial future. Just starting the first week. I am definitely going to change my thought process. I really like your site.